Just 64 words in this massively white grid, and the way the few black squares are positioned makes for three mini-puzzles connected by two 15-letter answers. As is my custom, when there are so many grid-spanners, I feel the urge to rank them. So here goes! 1. BIOLUMINESCENCE - I like that it's a single word rather than a phrase, and it's an excellent one at that. 2. TESTEDTHEWATERS - I will point out here that not one 15-letter answer uses "one's". 7. AMERICANCUISINE - Is that a thing? I mean, there's Southern and Southwestern and Midwest cuisine, but American seems too big. 8. INTERESTRATECUT - is the least interesting. Your mileage may vary, of course, but in my opinion there's really 3 good ones, 3 middling ones, and 2 fine ones. In exchange for all of those long answers, we have to put up with CITS (?! ), NUS, and 52D: Doc's recommendation (MED), recommended no doctor ever. "Yes, you have a bad infection. I recommend you take a med." Hmmmm. I also look ASKANCE at the crossing of RIORITA and PLATIES, as well as the crossing of AWACS and TASSETS. The former I guessed correctly (I vaguely remember coming across that movie title in previous puzzles) and the latter I guessed incorrectly, trying a K. The acronym stands for Airborne Warning and Control System, and it looks like it's been around since the 1940s at least. Meanwhile, I wanted "cuirass" and "greaves" before the actual piece of armor. Words I did enjoy inclued PARIAHS and SKALD. 47D: Exercise in economy of language (TWEET) gets the clue of the day prize. Overall, it was a good challenge. Boy was this a toughie! I knew AWACS because my sister-in-law used to work on them, but RIORITA and PLATIES was beyond me. And it was kind of a lucky guess on SKALD, too, because, CITS? No. I don't think so. Overall, I thought there was a little too much garbage in this one. SALUTER? COHABIT? I didn't love REROOTS either, and I can't really understand the clue. Oh well... sometimes you'll have that. Being a military person, AWACS is well-known to me. I agree with Colum's rating, for the most part, especially #1 being BIOLUMINESCENCE, which is outstanding. The grid was shockingly devoid of black, but despite what my slower time than normal for a Saturday would indicate (I solved on my device), I went right along on this.I never heard of TASSETS, trying "greaves" first, but it turns out that greaves are for shin protection, which I'm not sure was made too clear in the Iliad. 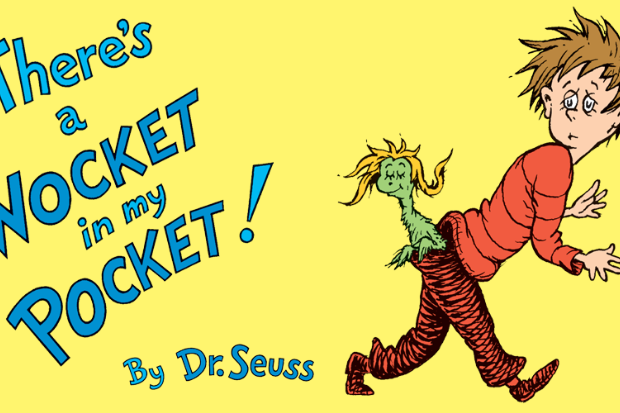 SHILLED is great, and any mention of SEUSS is excellent in my book. But yes, SALUTER is terrible (the others Horace mentions are OK, but not great). SUPERGLUE is disturbing, but true.